It is Monday afternoon and I am grateful to find myself up in ‘Cottage Country’. 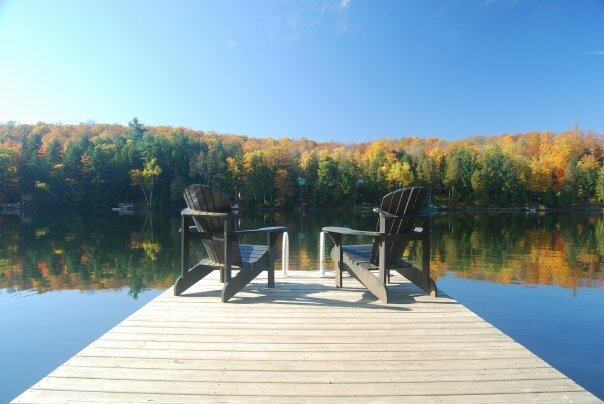 Beautiful Muskoka – a few hours north of Toronto. I just stirred from a nap in the sun, laid out on a lounger down on the dock. It was a welcome rest after a quick sleep last night. I awoke in a tent this morning after a full weekend of volunteering at Hillside Music Festival in Guelph, Ontario. We slept through a bit of a storm and arose early to pack up and hit the road. I was camping with my brother and some good friends, enjoying the music, energy and all-around fun scene of this fantastic festival, which is as old as I, having just finished its 31st summer. I was a ‘dish ninja’ and served 12 hours in the dish pit over three days. We take pride in our work and earn our keep. It is good, honest labour to say the least. We dodged the nasty weather that had been predicted for Saturday, facing only a quick afternoon shower – but it didn’t stray too far. As the storm came in last night, along with fiery forks of lightning and incredible crashes of thunder, the performances were suspended and eventually the final few shows were cancelled. I was grateful to see how easily I took the news. It had already been a great weekend, and though I would have loved to enjoy more music, especially The Wood Brothers, I simply took the news as it came. I know there is no use in struggling with ‘what is’. Whereas many felt let down and harped over their disappointment, I found myself excited by the storm and rolling with the new direction the evening was taking. Lots of volunteers burrowed into their tents and strapped in for a wild night, reports of potential tornadoes in the air. Many fled. Tents disappeared and cars streamed from the island. But my brother and I sauntered over to the sound of some drums in Volunteer Village, keen to join whoever was still celebrating. We found ourselves around a fire under a big blue tarp, several carefree souls drumming, dancing and singing, not a hint of disappointment to be seen or heard. I met a girl there who talked about the joy of spontaneous scenarios like this. We had a schedule with bands slotted to play at certain times at certain stages, and once that was thrown out the window, many didn’t know what to do. Others seemed to thrive in this unpredictable space. As we chatted about it, I saw how easily our expectations lead to disappointment. For those who simply accept whatever is happening right now, despite perhaps working towards concrete goals, nothing can really ‘go wrong’. For those who had invested in their particular vision of the future, banking on hearing their favourite bands, their crash back into the moment was more jarring, and certainly less welcome. I can’t imagine having had any more fun than I did last night, or throughout the whole weekend. I didn’t feel as though anything was taken away with the cancellation of several headlining sets. Instead, I found myself enjoying the scene as it unfolded, charging forward into the beautiful mystery of the unknown, unplanned present moment. Some people seemed panicked, lost and frustrated, eyes somewhat glazed over, but as I scanned the crowds, the many smiling eyes I encountered seemed completely present and at peace, despite the storm of uncertainty swirling about us. On this Monday evening (or whenever you read this), I hope that we can all take a moment to be intentionally present, freeing ourselves from expectations or regrets. Whether with a simple breath or a stretch, I encourage you to feel whatever sensations you are experiencing right now, giving them your complete attention, not allowing yourself to be pulled away by your thoughts. What a wonderful peace is available to us right here – always. What if I told you there was a way to be free of all suffering, lifted from the heaviness of life’s drama? What if I told you that it was completely free? What if I told you that you already hold the key to this freedom in your own heart? Fortunately, it’s just that simple. I won’t lie and tell you that it’s easy, but it is simple. It’s not complicated. 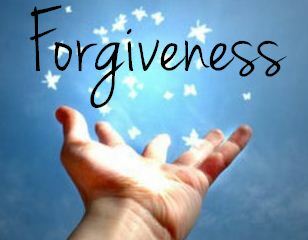 Forgiveness is perhaps the most valuable key to our inner freedom. And we are 100% in charge of the work of forgiveness. Nobody other than ourselves can dictate who or how to forgive. Despite what we may think, there is no pain too great to let go of. None of us is given more than we can handle. If, however, we allow ourselves to believe that some past hurt is too big for us to forgive (which remains our right), we can no longer justifiably blame any ‘offender’ for our ongoing pain. The offence is long gone, and it is we who are choosing to keep it alive in our minds (often unconsciously), refusing to face the raw freedom of forgiveness. And this is ok. We need not get further tangled in guilt over this. We can simply face the pain as we are able to and release it. Forgiveness is an open door, an opportunity. We are completely free to take it on or pass it up, as we see fit. It can be tough work. Many of us become so identified with our particular pains and burdens of hurt that we cannot imagine living without them. The very prospect can seem downright frightening. We feel as though a part of us may die if we forgive fully, or are fully forgiven. The anger, guilt or resentment we hold becomes a wall that defines us, and we mistakenly perceive this wall as a sense of security, when it is actually a severe limitation. These limitations dam up our energy and attract further negativity. Trapped inside, we play out our painful narratives over and over, digging deeper trenches of pain. By flooding these walls with self-identification we make ourselves vulnerable to attack. We choose to give these limitations their reality and we bring about our own suffering. Whether a rude comment in passing, a perceived slight, or much worse, anything we take personally is bound to hurt us. But even in extreme cases of pain, imposed upon us unjustly, we are STILL in complete control of our forgiveness. We can choose freedom, however painful a journey it may be, or we can remain prisoners of our past. When we hold a grudge, or bottle up our hurt feelings, we are allowing a person or an event to hold great power over us. We are blindly scattering our force outward and pointing the blame the same way. This will never lead to reconciliation. But once we take complete responsibility for ourselves, no matter how serious the hurt we have endured, we see that it is actually impossible to blame anyone else for our suffering. At its very core, unconditional forgiveness is love. This wisdom can radically change how we interact with life and one another. We can examine the folly of our former ways and shift into a new perspective, realizing that we need not take anything personally. We can help one another find the courage to forgive, and we can take responsibility for our own behaviour, both past and present, forgiving ourselves for whatever wrongs we may have committed. We come to see that by moving through these hurts and these ‘wrongs’ we can learn and grow, gaining deeper insight into our own hearts. The further we anchor ourselves in the freedom of our forgiveness, the less likely we are to encounter further ‘offences’ needing forgiving. Our forgiveness enables us to boldly hold out our hearts, and our wisdom becomes a shield keeping us from feeling wronged by anyone or anything. We come to see that we are all just doing what we can with what we were given. Of course we can do better, continuing to learn and grow from our mistakes, but there is no great rush, and quick forgiveness is the best way to move forward. So now we can ask ourselves, is there someone I need to forgive? Is there forgiveness I need to receive? The silence which follows these questions holds the answers. Once fully received, this forgiveness gives us permission to live our lives fully. Silence is essential. We depend upon the absence of open space. We cannot experience life without this fundamental emptiness. In no uncertain terms this void has given rise to us, and indeed to all life. And yet it seems that this void is what so many of us are running from. Our lives today are so frantic and caffeine-fuelled that we hardly ever stop to really listen; to hear a symphony of leaves rustling in a breeze, to hear our own breath passing through our nostrils, or to hear our innermost thoughts. At the core of our being is a window opening to this cavernous infinity literally teeming with the boundless potential of pure emptiness – the fabric of the universe. To come directly in contact with it feels rather frightening if we have not checked in with it lately. But as we allow it to express itself, patiently observing all that arises from this space, we become clearer and freer, more able to truly connect and express ourselves from the depth of our being. Some fortunate souls have lived lives closer to the centre, not having strayed so far from themselves, and may not have as jarring an experience in connecting with their core, but it seems more and more the norm that the countless diversions and distractions of modern life are alienating us from the peace and simple wisdom of our own inner silence. When was the last time you sat for a few minutes without any input and simply paid attention? No TV. No phone. No music. No book. Not even drifting off to sleep. Awake and alert, just you and whatever thoughts or feelings are stirring about in your present experience. Have a go at it. See how quickly you try to run away. See how soon your thoughts try to busy you with ‘more important matters’. The demanding and rapidly-expanding speed and scale of our consumer society finds us so often at odds with ourselves that many of us have stopped taking note. It hurts to look inside, so we keep occupied, believing our sheer busy-ness to be some sort of virtue. We are always ‘behind’ the eight ball, playing catch-up in work that has been force-fed us, competing with people we call peers, secretly hoping their failure may lead to our success. What kind of sickness have we been infected with? But we need not feel guilty about this sort of thinking, if we are even aware enough to recognize it. We can simply acknowledge it for what it is, culturally-fed momentum spinning about our heads. This conditioned thinking is only problematic to the extent that it goes unnoticed, or believed. But a simple step toward silence unravels all of this toxic content, reshaping the very context of our lives, allowing us to see more deeply who we are and to engage with life in a more playful way, free of the desperation of competition and scarcity, no longer obsessed with what everyone else is doing or thinking, finally free to be and do as we see fit with every moment given us. We come to see that each breath is a gift, inspiring and informing us, offering us a chance to become who we really are. Living from this inward and private space of silence, we no longer seek consensus, news or approval from those around us, and yet we understand more clearly our union with everyone and everything. In this space we can speak freely from our hearts and we can listen deeply from the hearts of our brothers and sisters, offering the simple healing power of our presence, free from distraction. When our life ceases to be inward and private, conversation degenerates into mere gossip. We rarely meet a man who can tell us any news which he has not read in a newspaper, or been told by his neighbour; and, for the most part, the only difference between us and our fellow is that he has seen the newspaper, or been out to tea, and we have not. In proportion as our inward life fails, we go more constantly and desperately to the post office. You may depend on it, that the poor fellow who walks away with the greatest number of letters proud of his extensive correspondence has not heard from himself this long while. I have been on a long break. Four months, essentially. After nearly a year of hard work (for which I have little ‘to show’ at the moment), I took a good long break. I went wandering through South America. I have been home for more than a month and I am just now getting back into the groove. Or trying. I am committed to a firm work schedule and I am challenging myself to meet deadlines, both short-term and long-term. But I will not risk taking it seriously. Throughout all of this work, I know there is nothing important that I can actually accomplish. Everything of real importance is already sorted out. It’s all sewn up. The best I can do is remind someone of what they already know. Nonetheless, I can be playful with this creative project, exercising the discipline necessary to write the beautiful story I have been living. I am living. I believe we all have a beautiful story to tell. We can each see for ourselves. My story is just one more drop in the ocean. Although it is all true, believing it can be distractive – certainly for myself, but perhaps for you too. It can pull us away from the most important part – the heart – the real core of the story, which remains unspoken. This is the same of any story, I feel. Instead of getting lost in the various facts and details, allow yourself to sense the undercurrent carrying it all along, and, most importantly, notice how you feel. Facing these feelings will help us to see what we need to see, or, more aptly, how we need to see. Not that there is any great need, per se, though we certainly won’t regret the ensuing insight. We can’t fake feelings. They can’t be manufactured, as far as I understand. We certainly influence them, and, on one level, we have set them all in motion, but as feelings arise in the moment, their presence cannot be denied. Although we try our best to look away from certain feelings, we only succeed in saving them for later. This sort of repression can be likened to a subtle form of procrastination. Often it is blatant. Eventually, we have to face it all. And it seems that through observing all of these feelings, our stories unravel. The little narratives that have carried us along for most of our lives begin to weaken and slip away. And the overarching story becomes more beautiful in the process. It doesn’t change the events that have transpired, necessarily, but we come to see more clearly what our actual relationship with them is. And this can seem scary, at first. It often does. These feelings are pretty raw. They are powerful. And we feel exposed in such honest self-reflection. But before long we begin to feel freer and lighter, more and more willing to face whatever else may be lingering in the depths, preventing our peace, which is ever-present and forever available to us. But we cannot reach for it. We can only allow it. And sometimes this takes work. Facing ourselves in all honesty, examining the stories we have been telling ourselves (and others) is indeed hard work. But it is most definitely worth our while. I have a friend who once told me that life is a long weekend. As soon as I heard it, I loved the idea. I felt it to be deeply true. I shared this philosophy widely for a while, but soon began wondering where life’s inevitable work factors in. I have also heard it said that when you love what you do, it doesn’t feel like work. But I wonder if maybe it takes a bit of work to get to that point. 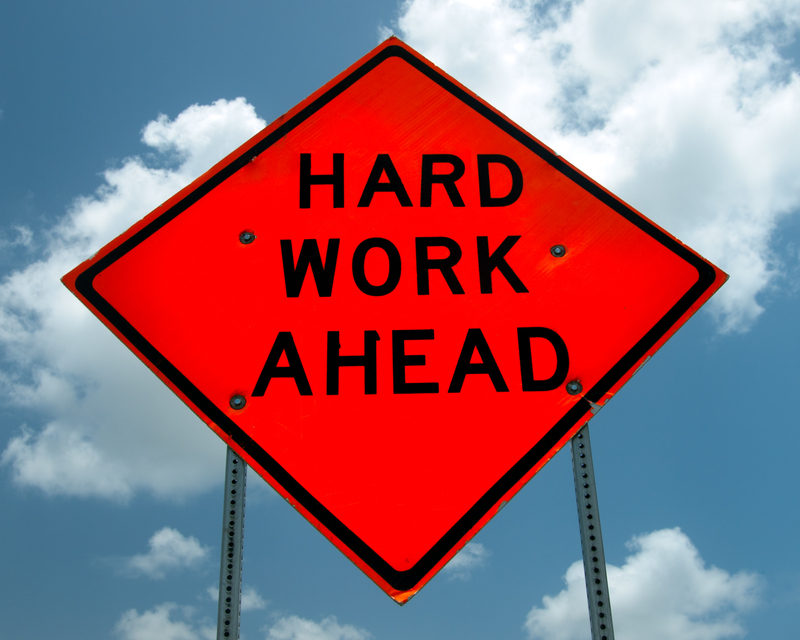 I feel that sometimes hard work is exactly what we need. And we don’t always want to do it. Where does hard work fit within the framework of a long weekend? I suppose if we are up at the cottage and need to fix the deck, or the dock, a bit of hard work is unavoidable. And this tends to feel pretty good, once done, but is often a bit of a slog to get through. While this seems to contradict popular philosophies urging us to ‘follow your bliss’ or ‘do what you love’, I feel that hard work can be a valuable part of our love, strengthening our endurance. Our love provides enough space to bury our heads from time to time and plough through unpleasant tasks. And when we break through, we usually feel the rewards of our hard work. And the hardest work of all may be complete effortlessness. Can we sit in perfect stillness? Can we watch ourselves quietly and patiently to observe our most deeply rooted habits and stories? Give it a try, and you may see that truly doing ‘nothing at all’ is rather difficult. This sort of paradox is often unsettling for our minds. But if we allow ourselves to simply observe this apparent paradox, and our reaction to it, eventually the inner storm will settle, and we can come to see that so-called ‘cut and dry’ or ‘black and white’ distinctions are not what they appear. These divisions created in the mind are more like the two sides of a coin. Eventually, all opposites meet in the middle. And this is balance, as strange as it may seem to us at first. So, for the next six months or so, I endeavour to balance hard work and great discipline with patience and peace, honouring the effortless, all-embracing love at the centre of it all. With very rare exceptions (perhaps none at all!) I will be posting at least one update here per week, aiming for Mondays. Aside from this, my main project will be rising early to slowly approach the mass of words I have gathered over the past year or so. By chopping, trimming and softly massaging these words, I hope to find the core of the story coursing through them and allow it to emerge and string together some sort of coherent whole. It will most certainly be hard work, but I will allow my love to lead me through it. I wish you all the best as you endeavour to let your love lead you through whatever hard work may be facing you. It can’t be avoided forever. Once we get at it, we are wiser and stronger for the sheer will to step up and face each passing feeling, whatever it may be. Pleasure and pain come and go, but the truth of love underpins and transcends it all. See this and be free.